Columbia-Montour AVTS – Home of the Rams! Welcome to our website! Our goal is to provide information about the school, keep you up-to-date on what’s going on at Vo-Tech, and to provide a form of communication between our school and the community. There’s information here on each of our seventeen vocational-technical areas, plus descriptions for all academic courses. for producing this video for our school! * Know a Middle School aged student? 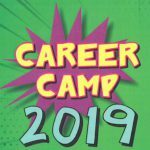 Check out our Career Camp 2019! Click for more information. Check out the results of our School Climate Survey completed by Parents, Students, Community Members, and Staff at our school here. The textbook listed here is proposed for use in the Food Preparation training program. Get a great introduction to our school from this special Channel 10, MetroCasting with Doug Farley. Click here to view on YouTube. What’s it about? Click logo for details, or here for video overview. Sign up for Giant A+ School Rewards here! Our school id# is 20636. Click logo at left to sign up, or here for more information.